When I phoned Pete to book in during the week, I’d forgotten to ask which lake we’d be on, I picked Janders up and he said it was on Sellicks and possibly Lily, depending on numbers so obviously as we pulled into the car park I was hoping not to see too many vehicles! We collected a couple of nets before paying our pools and I was relieved to see that with fifteen anglers fishing we’d all be on Sellicks. 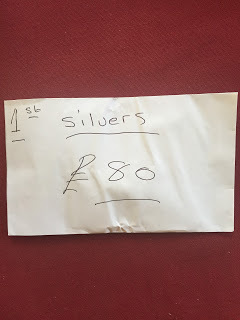 Pete announced the draw and said there would be two equal pay outs today for carp and silvers with the winner picking up £80 and second place taking home £55. 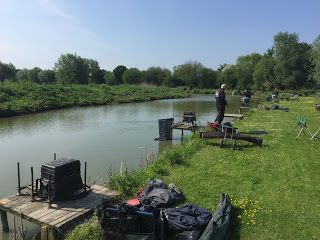 There was the usual scrum to get into the draw bucket and some decent pegs went quite quickly, Ray Wickham pulled out peg 5 which won the silvers in the mid week match and was also the golden peg today, Alvin drew 14 and Exeter Mike had 15, both good carp pegs. I pulled out 21 which is a great silvers area and an empty peg to my left was an added bonus, Jess Jordan was on my right on peg 20 and said he’d be fishing for silvers too. Glynn and Janders were over the other side on pegs 8 and 10 so I wouldn’t be able to keep an eye on my side bets. I set up the usual 0.4 gram Malman Pencil and a 0.6 gram Drennan G-Tip, both with 0.10mm to a size 16 Tubertini 808. I had Bait-Tech 4mm Xpands for the hook and some ‘Juiced’ up micros for feed. On the whistle I fed three lines, left and right at ten metres and five metres before starting on the left hand line. I lowered the rig in, it settled before the float slid away and the first carp of the day was hooked! I safely landed it and then next put in I’ve hooked another but this one snapped me, Jess was also into a carp from his silvers line and I hoped it wasn’t going to be like this all day. Thankfully after that early flurry of carp action, things settled down a bit but apart from a few missed bites it was slow going. Jess was playing a carp when I struck into what felt like one as well, but to my surprise (and Jess’s disgust), it turned out to be a lovely crucian about 1.5lb to open my silvers account as the first hour came to a close. Although nice for the anglers, I don’t think the bright and sunny conditions were doing us any favours with the fishing. Not a lot was happening, Gareth on 18 was getting a few carp shallow and it looked like Alvin on 14 was catching the odd fish, Exeter Mike on 15 was having fun and games with the carp and the lilies, never a great combination! I had two decent skimmers from the left hand line to add another pound or so to my silvers total, I did try the other longer line but the only action from there was another carp. During the third hour I had another skimmer and a rudd that nailed the expander on the drop but it was hard going, Jess was still hooking quite a few carp on his silvers rig and said he was thinking of going for them, Nigel Wickham had started to catch quite well from peg 23 after a slow first couple of hours. Exeter Mike was having a bit of a nightmare, he’d had pole section break resulting in some lost pole sections but luckily, with the help of Bill who stopped bagging long enough to lend a hand, he got them back. He walked past with a ruined section and it was looking like an early bath was on the cards. After three and a half hours, I decided to try the short line for the first time and first put in, the float sailed away and of course I missed it, next chuck it went again and the strike resulted in a carp tearing off, but then it stopped and a big skimmer surfaced! I must admit my heart was in my mouth as I slipped the net under a 2lb plus fish and I was up to around 5lb of silvers with two hours to go. My next fish was a carp hooked up the bum which lead me a merry dance and then I had another skimmer, this one around the pound mark and as the winning silvers weight on Wednesday was 8lb, I only needed a couple more fish to reach that weight. I went back out on the longer line to rest the shorter swim but never had another bite there, my next bite on the five metre line resulted in another nice crucian and there was still an hour to go. 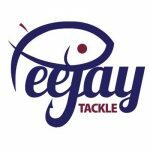 Jess had started to target the carp and was catching well from his inside swim, Adie walked round and said Ray was struggling on peg 5 so the golden peg was safe although Glynn was admitting to 4-5lb of silvers with two hours to go. 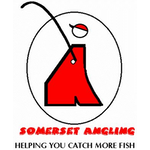 Exeter Mike finally waved the white flag and sat with me for a bit, I had a carp while he was with me and he commented on the state of my landing net which had been savaged by some mice ages ago and as a parting gift he gave me a rather nice landing net head – cheers Mike! I was hoping for a couple more silvers during the last period of the match but every bite resulted in a poxy carp and I must have ended up with around ten by the end of the match. Adie ended the match and I only had eight silvers (two crucians, five skimmers and that rudd) for probably 6-7lb. 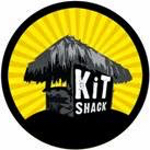 I took my kit back to the car where Janders was already waiting, he’d really struggled and wasn’t bothering to weigh in. Glynn also turned up and was admitting to 7-8lb possibly a bit more and I knew I didn’t have that. The scales arrived at Nigel’s peg and he’d done well to weigh over 50lb after such a slow start, I didn’t weigh my carp (probably 20lb or so) and my silvers went 7lb 7oz which was pretty close to my estimate but I didn’t think it would be enough to beat Glynn. Then there was only one fish between Jess who had 56lb 12oz and Gareth who weighed 53lb 4oz. Mark Leahy and Exeter Mike didn’t weigh, Alvin had 35lb 10oz before Bill ‘The Paste King’ Hopping put a massive 129lb 10oz of carp on the scales from peg 13 and that was with a mid match break to give Mike a hand! Neil P on peg 11 went into second place with 64lb 6oz and then with Janders not weighing we got to Glynn. He had over 30lb of carp and then he pulled his silvers net out and it looked like it was going to be tight, Adie called it out as 7lb 2oz and I was still in the lead – phew! Paul P on peg 7 had just shy of 32lb, Ray didn’t weigh on peg 5 and Dan next door had 29lb odd and then peg 2 didn’t weigh which meant I’d just about done enough to win the silvers. 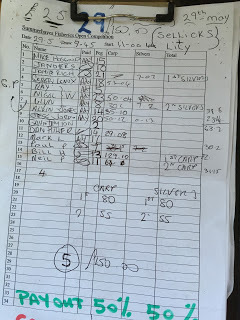 Back at the results and Bill was named as the carp winner with Neil in second place and then Pete handed me a nice envelope containing £80 and Glynn was called out in second. Then the icing on the cake was when Glynn handed me his nugget to go along with the one Janders gave me!